for $5,950,000 with 5 bedrooms and 3 full baths, 4 three quarter baths, 1 half bath. This 10,127 square foot home was built in 1996. 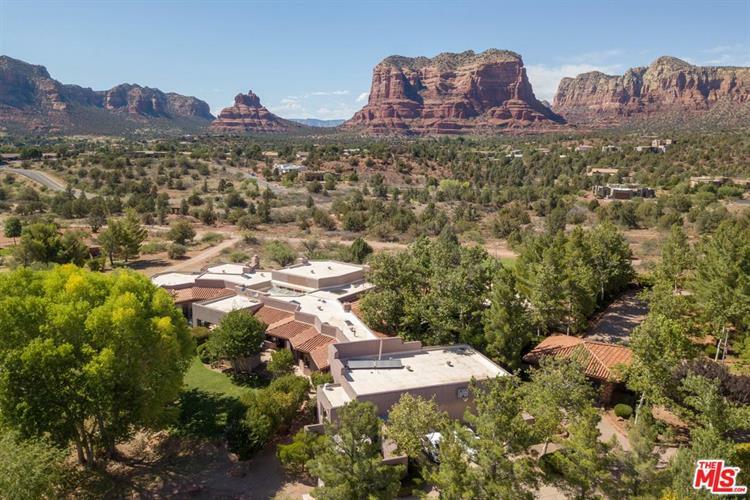 A True Safari in Sedona on ONE LEVEL. 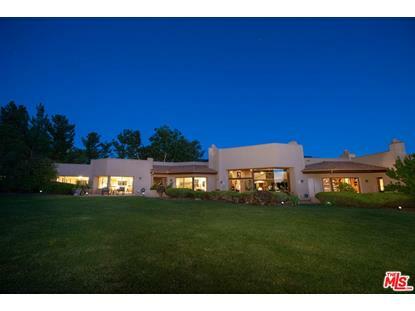 Enjoy the PRIVATE SEDONA lifestyle withPANORAMIC VIEWS in this fabulous 5 bedroom, 7.5 bath home. 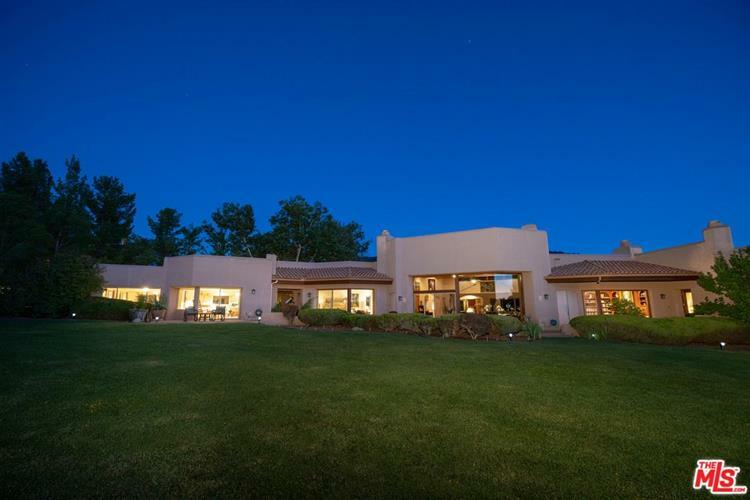 A Don Woods Contemporary Built in 1996 offering a well-planned 10, 127 sqft floorplansitting on 15.69 acres.~ This Estate includes the main house, guest house and maidquarters/MIL quarters or live-in-help quarters all joined by 4, 062 sq ft of patio space.~ Art collection? No problem! This view estate boasts plenty of wall space for your collections! Enter through the main gate and meander up your private drive and park at your private portico. Open your custom entry gate into a magical Sycamore oasis & private creek to make you feel like you stepped onto the West Fork Trail. Your senses will be delighted as you open majestic front doors to towering ceilings and a gorgeous Great room detailed by Ponderosa Viga Beams, neutral venetian plaster, ceramic tile floors, and art that slides into the ceiling to view movies/tv! Prestige & Elegance await!